A question over on Quora piqued my interest: What is an intuitive explanation of over-fitting? I use this blog and public writing to try and explain neuroscience topics, but I don't think I've ever taken a whack at explaining statistics. Which now strikes me as strange considering how much of my research is computational and methods-focused. So I gave it a go. Let me know if this makes sense. When you know all of the data, it should be clear that knowledge of the value of x provides little information about y. That is, there is no clear predictive relationship. Certainly not a linear one. 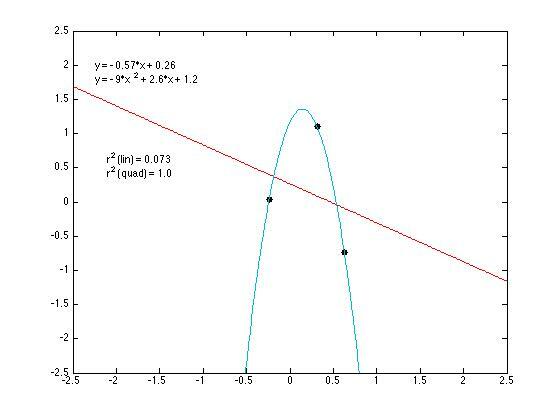 We can test this by trying to fit a linear model (y = ax + b) to the data (the red line). 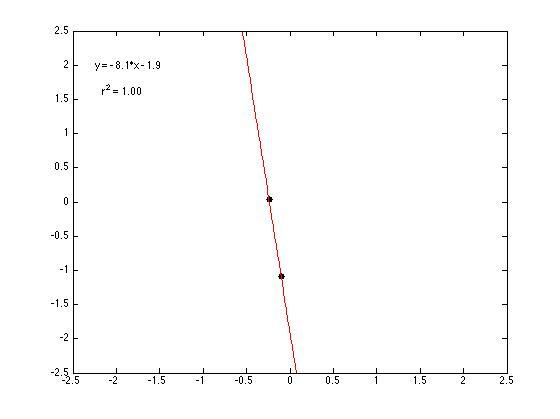 This procedure shows us that the variance in x accounts for less than 1% of the variance in y. In fact, our "perfect" model is pretty terrible! That is overfitting. 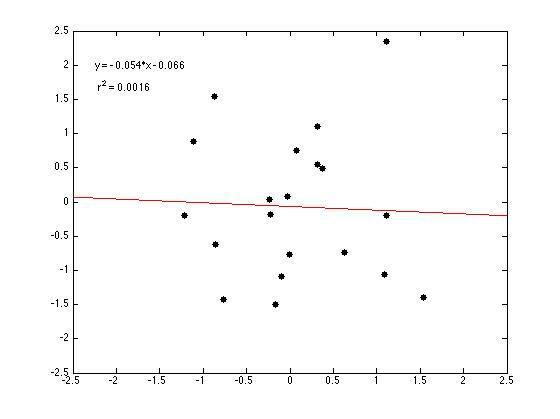 When your model has too many parameters relative to the number of data points, you're prone to overestimate the utility of your model. When your sample contains three data points, our linear model (y = ax + b) once again performs poorly (~7% of the variance) but our new model, a quadratic model (y = ax^2 + bx + c) explains 100% of the variance. 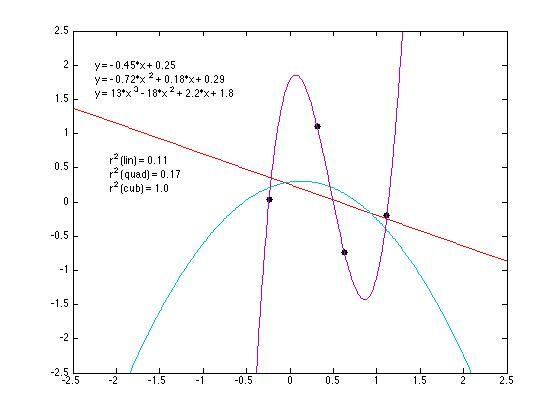 Well now our linear and quadratic models both perform poorly, but our new new model, a cubic model (y = ax^3 + bx^2 + cx + d), explains 100% of the variance.